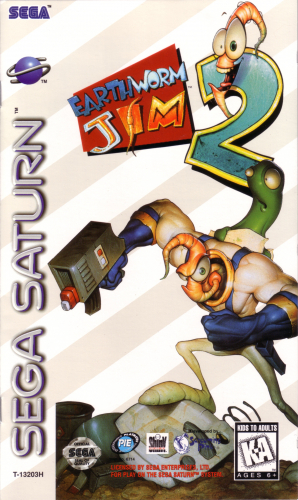 You are an ordinary average earthworm named Jim who goes about his normal daily life, cruising around avoiding crows and doing other general worm-like things when you are suddenly struck by a very large ultra- high- tech- indestructible- super- space- cyber- suit. Now you can control it and have some fun! !